Many studies on breast cancer have shown racial disparities in diagnosis and survival rates. A recent study by University of Illinois researchers suggests certain characteristics of a woman’s neighborhood, such as racial segregation and socioeconomic status, could be contributing to those disparities. 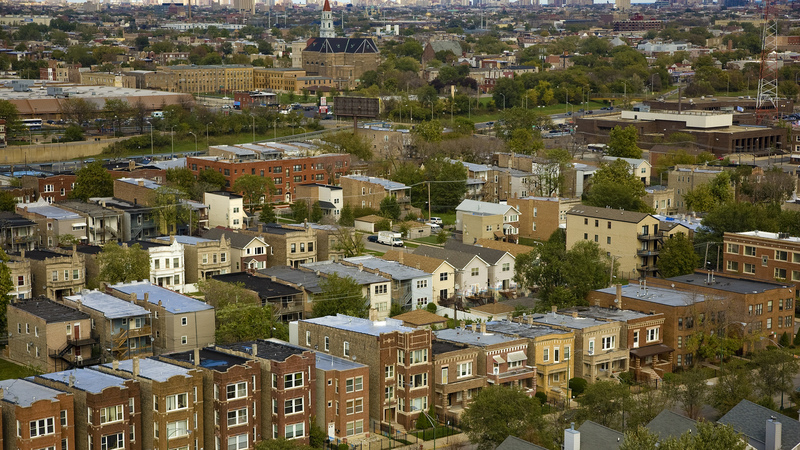 Low-income neighborhoods in urban areas, for example, are associated with an increased risk of late-stage breast cancer diagnoses and higher mortality rates among African-American women, according to the study. Even in low-income areas undergoing economic improvement, African-American women may be at a significantly greater risk of having metastatic cancer by the time they’re diagnosed with breast cancer, says lead author Brandi Patrice Smith. “This is enlightening, because an increase in overall neighborhood socioeconomic status should result in better health for residents, not worse health,” said Smith, a graduate student in food science and human nutrition at the University of Illinois, in a statement. “But because these neighborhoods were still low-income, they didn’t have as many resources,” such as health care facilities and access to mammography and follow-up care. The study analyzed a sample of more than 93,600 African-American women living in large cities and urban areas across the country, including Illinois. Patients ranged in age from 19 to 91 and were tracked for an average of eight years. Nearly half of African-American women in the U.S. live in urban areas and about 25 percent live in low-income neighborhoods, according to the study. Smith said there have been few studies exploring the relationship between racial disparities among breast cancer patients and where those patients live. Smith, along with co-author and professor Zeynep Madak-Erdogan, reviewed recent breast cancer research to explore possible associations between characteristics of urban neighborhoods and breast cancer rates in African-American women. Neighborhood segregation, socioeconomic status, access to mammograms and residential pollution were among the factors they examined. Residential segregation – which the study defines as neighborhoods with predominately African-American populations – significantly increased African-American women’s rates of late-stage diagnosis and doubled their chances of dying from breast cancer, according to the study. Researchers found comparable mortality rates among white women living in predominately African-American neighborhoods. “This suggests that the environmental conditions associated with low-income neighborhoods – rather than race itself – increases women’s risks of dying from breast cancer,” Smith said. Mortality rates and risks of late-stage diagnosis were significantly greater in low-income neighborhoods where women had limited access to mammograms and follow-up care with physicians, she added.